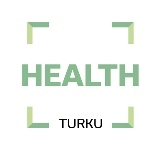 “It’s a great time for innovation in the field of health right now because the life sciences are getting a lot of attention in Lithuania,” says Laima Matusevičienė, head of the Development Department at LSMU. 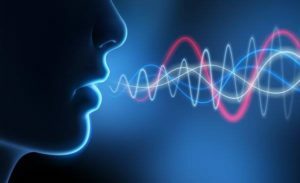 According to data provided by LSMU, interest in the development of medical innovation has grown more than threefold in the business sector over the past three years. Robertas Armonaitis of the KTU National Innovation and Business Centre says young business is also being encouraged. Over the past five years, of the 67 start-ups founded by KTU, eight are actively involved in developing medical technology. 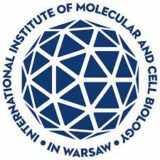 There are now several KTU subdivisions working in the field of biomedical innovation: the Biomedical Engineering Institute, the Health Telematics Science Institute, the Professor Kazimieras Baršauskas Ultrasound Research Institute and the Institute of Material Science. In Santaka Valley, KTU has entered into a collaborative relationship with Kaunas Science and Technology Park. “The technology Professor Raišutis develops is also relevant to Lithuanian businesses. He is in charge of a joint technology development project driven by KTU and Softneta, a company that specialises in software and technology for operating rooms,” elaborates Armonaitis. One of the directions the KTU National Innovation and Business Centre is focusing its efforts on is the development of young business and mentorship for startups. Medical technology is one of the top priorities for developing young business. For example, the company Fidens, headed by former KTU student Mantas Venslauskas PhD and based in the Kaunas Science and Technology Park, has partnered with LSMU to develop several products related to improving blood circulation. Abili, headed by Dr. Aurelijus Domeika, develops innovative equipment for testing and training balancing ability as well as movement. One such piece of equipment, the Abili Balance Trainer, is an unstable platform designed for use as a tool in training and rehabilitation. It also works as a preventive instrument, reducing the risk of falling in older patients as well as lower back pain. The Trainer’s accompanying app, Abili Balance Analyzer, will guide users through the training process and allow them to test the level of their balancing ability. Abili equipment is already being used by innovative kinesiotherapists and Olympians. The Lithuanian product is also being used to test and train athletes abroad. “Lithuania is a small country. 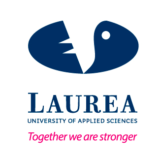 In order to increase awareness about our work as well as our competitiveness, and to present Lithuania as an attractive and dynamic region in the market of research, technology and innovation, we created the OPEN R&D Lithuania brand to represent our country’s scientific potential. It allows our universities and institutes to gain greater visibility as members of the same network in the international context,” says OPEN R&D Lithuania facilitator Martynas Survilas, responsible for running the Contact Centre. 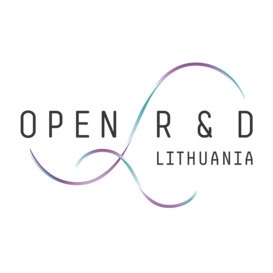 Founded in 2014, the OPEN R&D Lithuania network is curated by the Agency for Science, Innovation and Technology (MITA). Members of the network – universities, scientific research institutes, science and technology parks and open-access centres – provide more than 2.5 thousand different services in the fields of engineering, IT, biomedicine and biotechnology, material science, physics and chemical technology, natural resources and agriculture. They are involved in developing new products based on the very latest scientific research. Employees of member organisations are given access to available equipment. Training events and professional consultation is provided to address all aspects of scientific research, development and transfer of technology and innovation. New technology is created and existing technology is developed further. Research, experiments, analysis and various measurements are conducted. Prototypes are developed and manufactured. Last year, in order to make it easier for businesses to find their way through the myriad R&D services available and to select what best suits their needs, MITA set up the OPEN R&D Lithuania Contact Centre. It helps companies find the shortest route to a suitable research partner, gather information about where they can order the services they need and set up individual meetings. An emailed enquiry is enough to solicit an answer as to where a business should refer to next. The contact centre will help businesses get in touch with the right people and, if necessary, get them interested and convince them to become partners.